With Alice Cooper, UDR Music - The Home Of Legends, has landed another great artist, extraordinary entertainer and rock legend. For the past five decades, the incredible career of the "Godfather of Shock Rock" has continued and no end seems in sight. Alice Cooper has shaped the landscape of Hard Rock and Heavy Metal like no other entertainer. His theatrical stage shows have had a lasting influence on bands and artists such as KISS, OZZY, MARILYN MANSON, RAMMSTEIN & SLIPKNOT - just to name a few. "Raise the Dead - Live From Wacken" is the first in a series of legendary Wacken performances to be released, which are to be directly related to the Wacken Foundation. The Wacken Foundation is a nonprofit organization, assisting young Hard Rock and Heavy Metal artists on their way to success. As UDR Music met with Alice about the project he was immediately enthusiastic and confirmed his participation. For each sold DVD / CD € 1.00 will be donated directly to the Wacken Foundation. The "Raise The Dead - Live from Wacken" Deluxe Edition is a strictly limited, elaborately designed and compiled Special Box Set which will be exclusively available at Amazon. This deluxe edition contains "Raise the Dead..." on DVD, BluRay (Full HD) and 2 Audio CDs, PLUS a double vinyl LP on white / red vinyl and an 80-page, hardcover photo book, all in a collectors box. 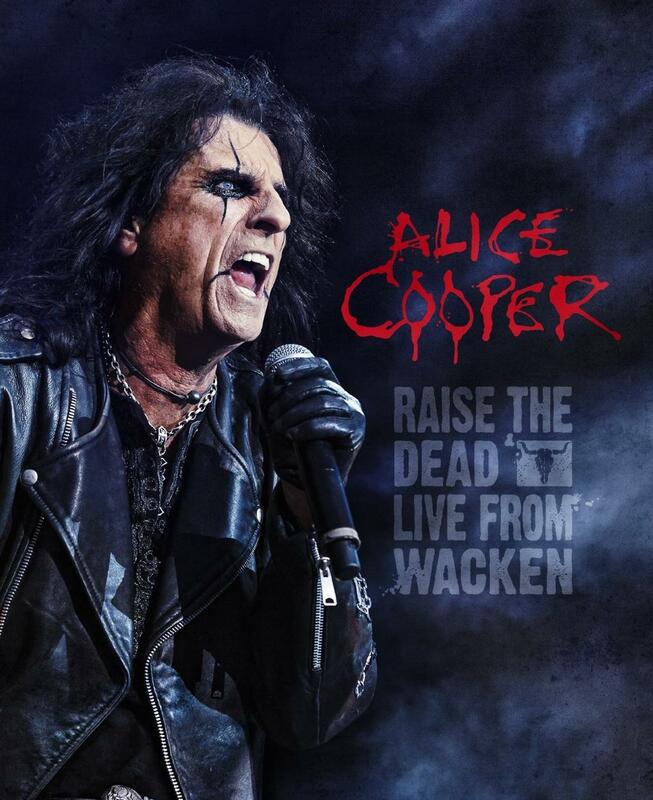 The running time of the DVD / BluRay is 88 minutes plus a 20 minute interview with Alice Cooper. All the classics in a single concert and Alice Cooper, one of the best entertainers of all time! Enjoy the show! Enjoy the Limited Deluxe Edition!